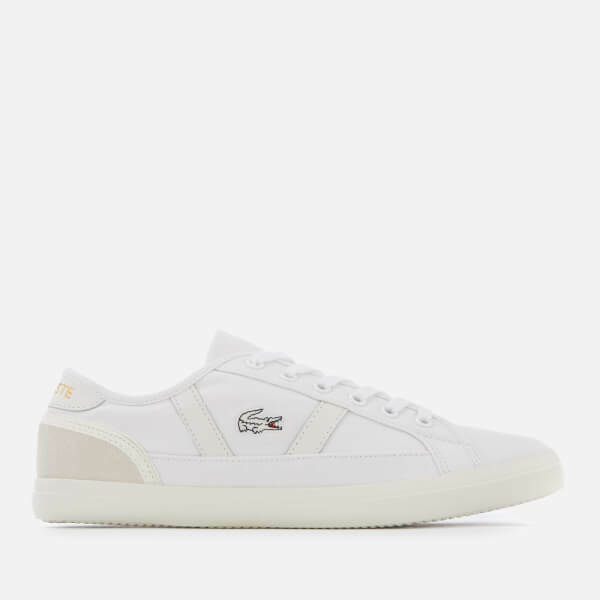 Lacoste ‘Sideline 119’ monochrome white canvas trainers. 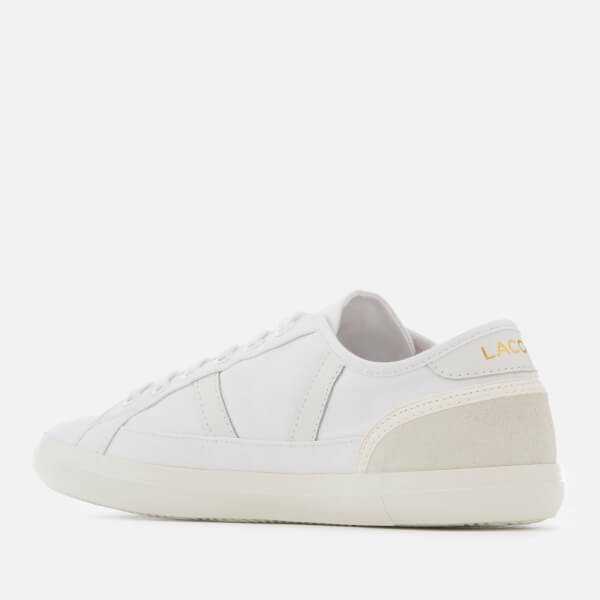 The sleek sneakers are designed with leather side stripes, a tonal embroidered crocodile logo on the outer side and a gold-tone metallic branding on the heel counter. 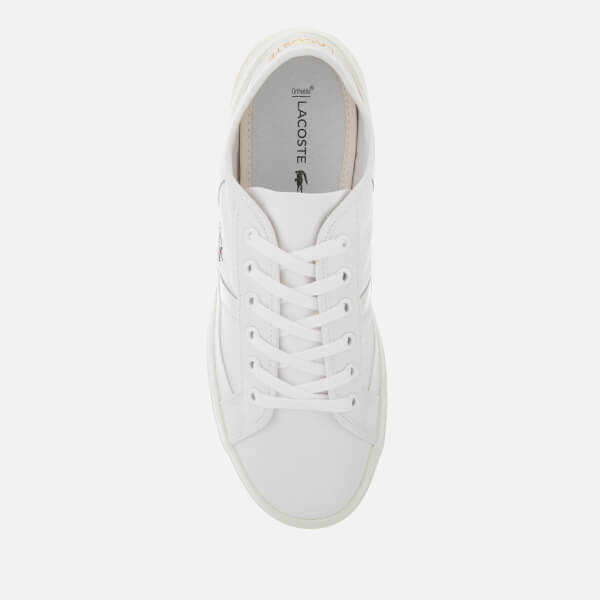 A slim white rubber sole with a textured outsole provides increased grip. 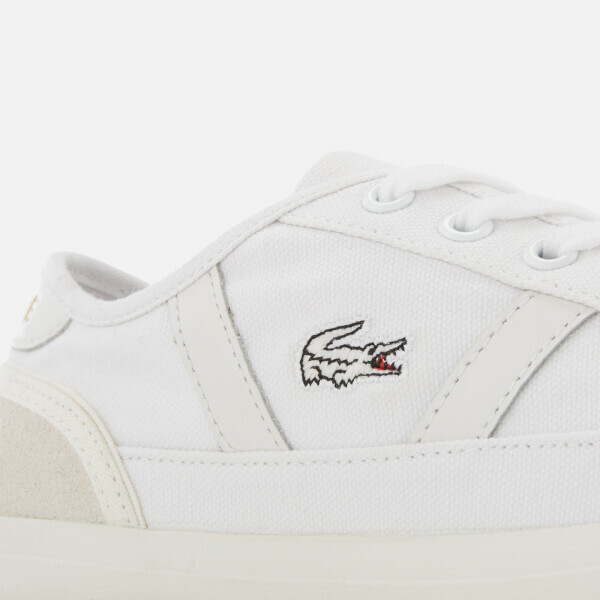 Finished with grey suede on the heel and a cushioned Ortholite® insole for comfort.